The Mikoshi leaves Yabuhara sanctuary and is carried through the village of Kiso Mura as part of the Summer festival parade. For the participants it is an all day sake drinking affair, stopping en route to soak up the alcohol with food as they sing along. The Mikoshi is literally a wheel-less human powered transporter of divinities. 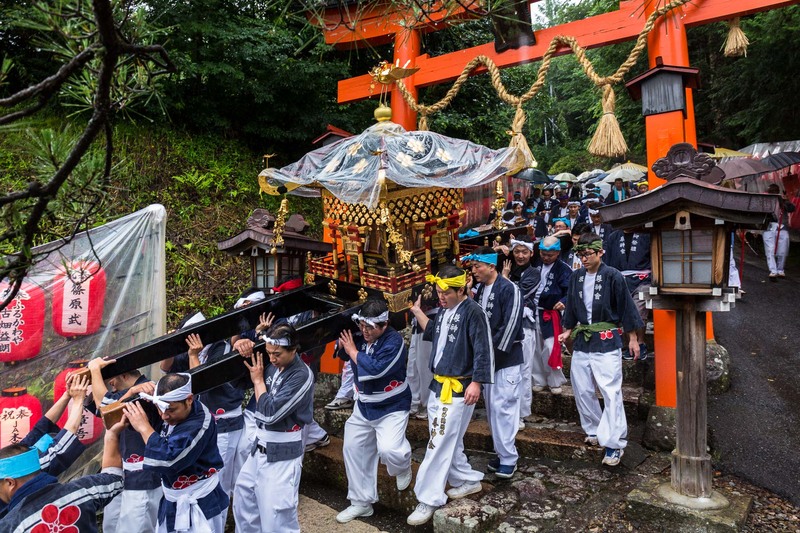 The Mikoshi is also a portable Shinto shrine which is carried by a large number of strong young men on their shoulders across the village for approximately 12 hours, Japan.